At war with current and former intelligence officials since before he was elected, Donald Trump Wednesday moved to strip Barack Obama’s CIA chief of his security clearance, though worse may be in store for John Brennan, says Ray McGovern. 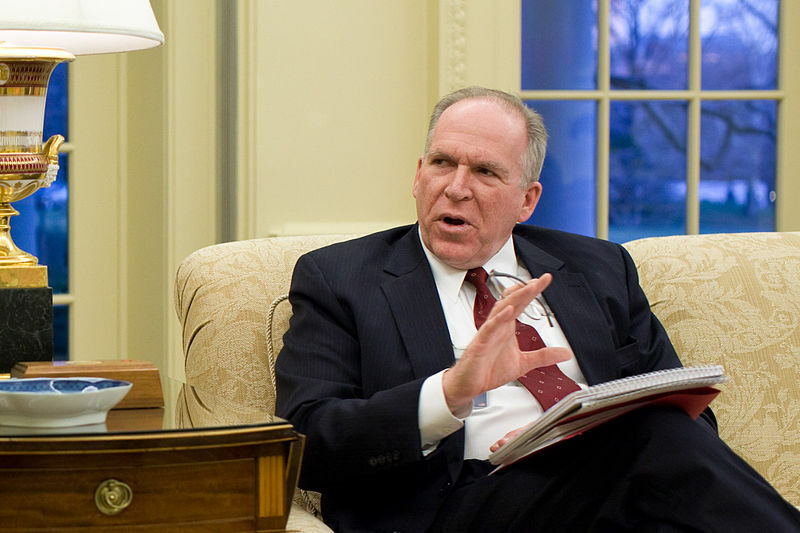 There’s more than meets the eye to President Donald Trump’s decision to revoke the security clearances that ex-CIA Director John Brennan enjoyed as a courtesy customarily afforded former directors. The President’s move is the second major sign that Brennan is about to be hoist on his own petard. It is one embroidered with rhetoric charging Trump with treason and, far more important, with documents now in the hands of congressional investigators showing Brennan’s ringleader role in the so-far unsuccessful attempts to derail Trump both before and after the 2016 election. Brennan: Called Trump a ‘traitor.’ Now Trump’s taken away his security clearances.